I’ve been practising drawing in full colour, full digital of late. 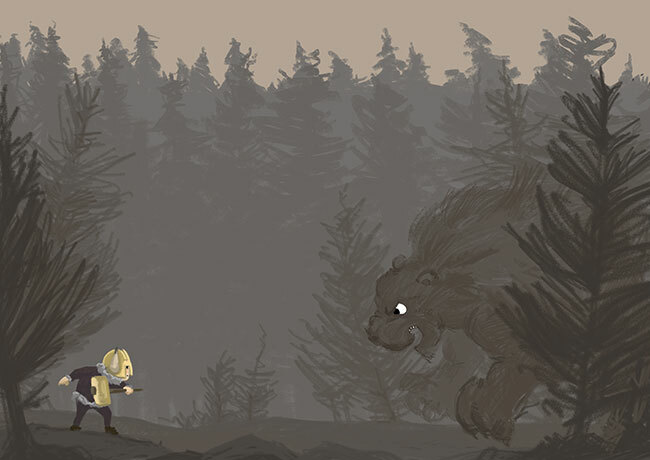 Here’s one of my sketches, with an angry tree bear bursting out of the woods towards a little viking. I’m loving doing these. It’s a nice break from all the other things I’m working on. 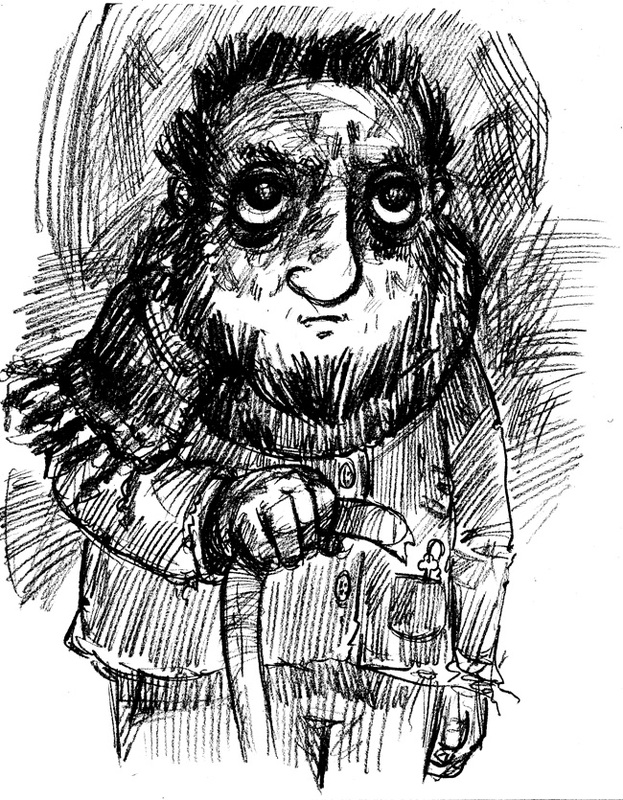 I picked up a pencil! That’s what I just did. I love drawing, and I don’t do it enough. This chap’s from something new. 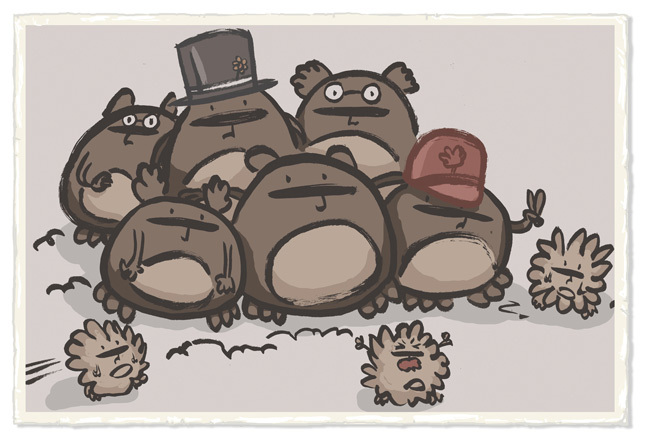 A rough idea that’s taking shape, in and around all the other things that are going on. 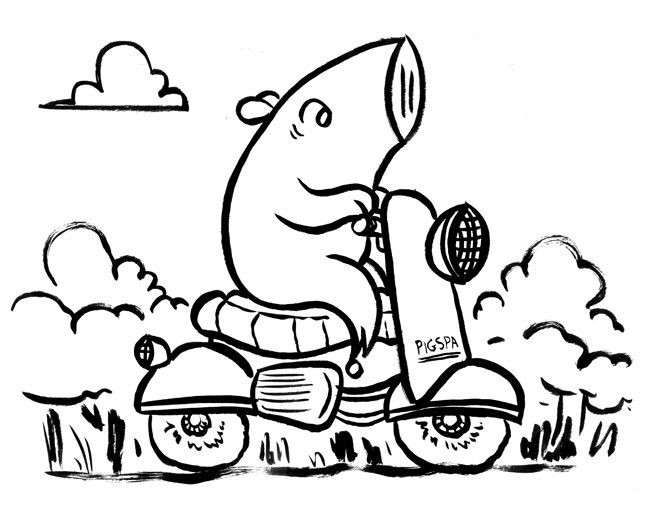 It’s Pigsticks on a mo-ped! Varoom! I don’t have space for all of them, so which should I choose? ARGH! 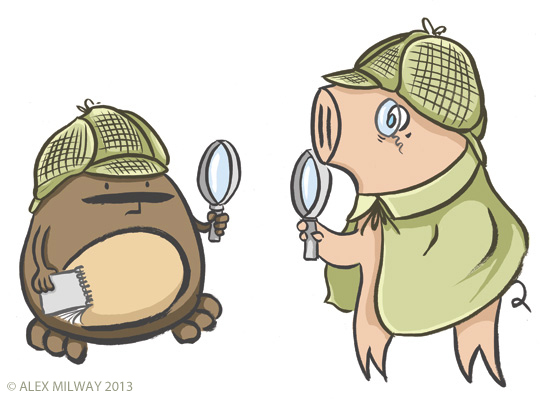 Pigsticks & Harold do Sherlock Holmes! 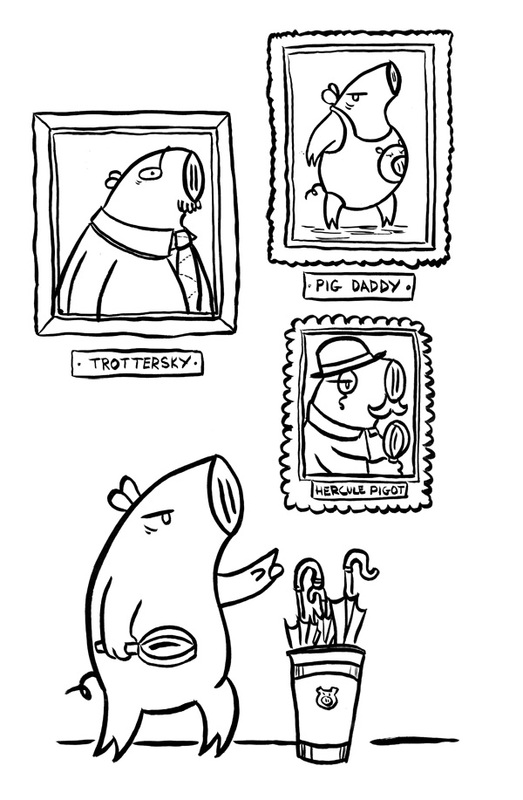 The colouring on Pigsticks & Harold 2 is under way!